The starvation, disease, and death caused by the Great Famine (1845–‘49) could have been greatly alleviated, if not totally averted, had the people of Ireland known about mussel farming and the abundant supply of this high-protein food source that could have been harvested in the bays and estuaries all around the Irish coast. The causes of the Great Famine, both immediate and in the long term, as well as its appalling consequences, are succinctly presented. The author outlines in layman’s language the life cycle of the mussel, Mytilus edulis. Being a filter feeder, this bivalve mollusk has the capacity to monitor the presence of viruses, bacteria, and heavy metals in the surrounding seawater. Thus, marine pollution may be detected and controlled. 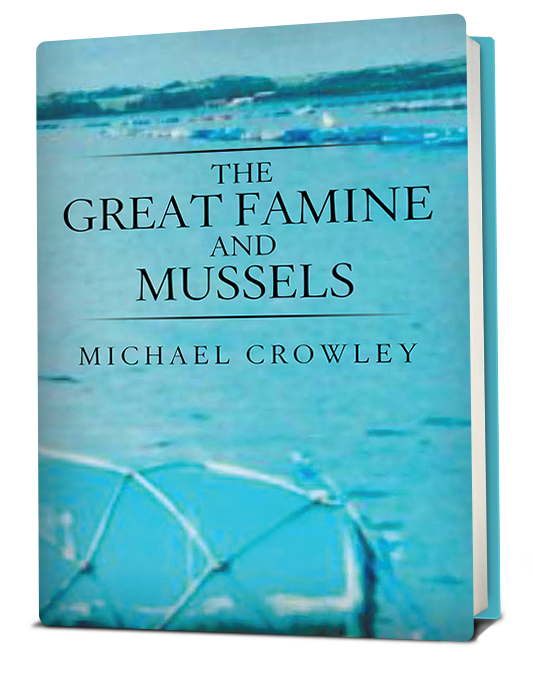 The author documents his pioneering work that spearheaded the development of the Irish mussel-farming industry. Currently, there are 375 people employed in Ireland in the harvesting of ten thousand tons annually of both rope-suspended and seabed-harvested mussels. He proceeds to give a concise account of the four internationally recognized mussel culture methods. In the event of some future famine or global food shortage, the humble mussel could prove to be the ideal, cheap, plentiful, protein-rich food source to help mitigate the dire consequences of such a scenario. Copyright © 2017. Michael Crowley. All rights reserved.